Unit 2B is a one bedroom, two bath condominium with approximately 882 sq. ft. of interior living space exquisitely furnished by nationally renowned Lovelace Interiors. The unit also boast 532 sq. ft. of outdoor living space to enjoy the warm breezes, views of the Gulf and Rosemary Beach. The living and dining room are decorated in warm brown and tan fabrics, rich wood furnishings, stunning artwork, and delightful accessories. The main living room showcases a cozy gas fireplace and built-in media cabinets. The dining area is incorporated into the well equipped kitchen. This unit provides ample room for relaxing and entertaining with all front facing doors opening out to the three balconies overlooking Main Street and showcasing Gulf Views. The inviting master bedroom offers a lovely private bath and features spacious private terrace that feels like your own tropical retreat. Between the gorgeous accomodations and the attentive and generous management, my family was really blown away by our experience staying at The Soleil. Carrie was a pleasure to deal with. She even provided us a complimentary gift beach bag with 2 beach towels and a gift certificate to The Sugar Shack - which was perfect for my kids. We also had use of the wagon and many beach toys and boogie boards. The Soleil arranged for complimentary beach set-up (2 lounge chairs, table, and umbrella) for each day of our stay - you simply walk down to the beach and they are already set up for you with your name on the chair. Wonderful. The accomodations were even better than in the pictures, and the pictures look great. Very high-end furnishings, bathrooms, appliances, etc. I couldn't believe the amazing balcony space. We kept moving around to different balconies to have our morning coffee, an afternoon cocktail, or to enjoy the evening fresh air - I almost wanted to spend my whole vacation on these balconies. One overlooks the Tapas bar, and once we put our kids to bed, we could order take-out from the Tapas bar and feel like VIP's sitting on our private balcony enjoying the light music and people-watching right below us. Great location to everything in Rosemary Beach. Excellent value. I recommend you skip the hours and hours of researching properties like I always do, and just stay here. It was a complete 5-star experience. This spacious unit looks great in the pictures and does not disappoint upon arrival. The location is ideal. It is mere steps to and from everything in Rosemary and the unit is well appointed with thoughtful items you may need throughout your stay. The service and appreciation you receive go above and beyond to make you feel valued and welcome. We have stayed here twice, have recommended it to many others and will happily rebook for our annual visits. We enjoyed a fabulous vacation at Rosemary beach in mid-July. The Soleil met all of our expectations, great layout, comfortable - perfect for 2 people, great location with an easy walk to the beach and super convenient access to restaurants. Even though it was located on Main street - the condo was quiet inside, never bothered by the street noise. Jeanine was wonderful to work with, I would recommend the Soleil to friends and family - and we are sure to return. A Soleil Condo is the best way to enjoy Rosemary Beach! Rosemary Beach is truly a beautiful place that my husband and I enjoy very much! We have waited too long for these days of vacation and were so glad we could spend them in a Soleil condo. Jeanine and the Soleil mgt. are in to every detail to ensure the best vacation possible. 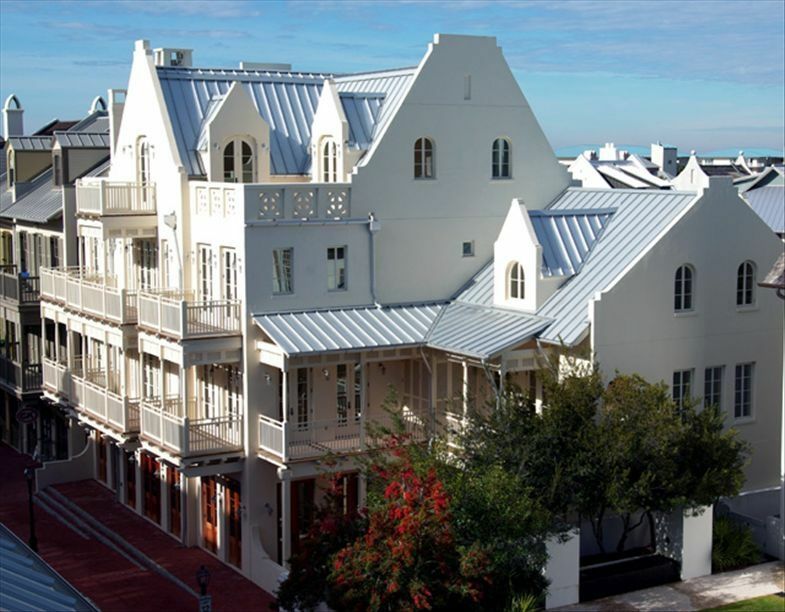 We visit Rosemary Beach twice a year and are now convinced, after two stays in a Soleil condo, this is the best way to enjoy Rosemary Beach to the fullest! Thanks Jeanine and Rosemary Beach for the wonderful memories that were made during this year's spring break. We've been vacationing on 30A for years - and no other properties compare to the quality, service and location of The Soleil. Jeanine goes above and beyond to make us feel at home - away from home. We can't wait for our next stay!